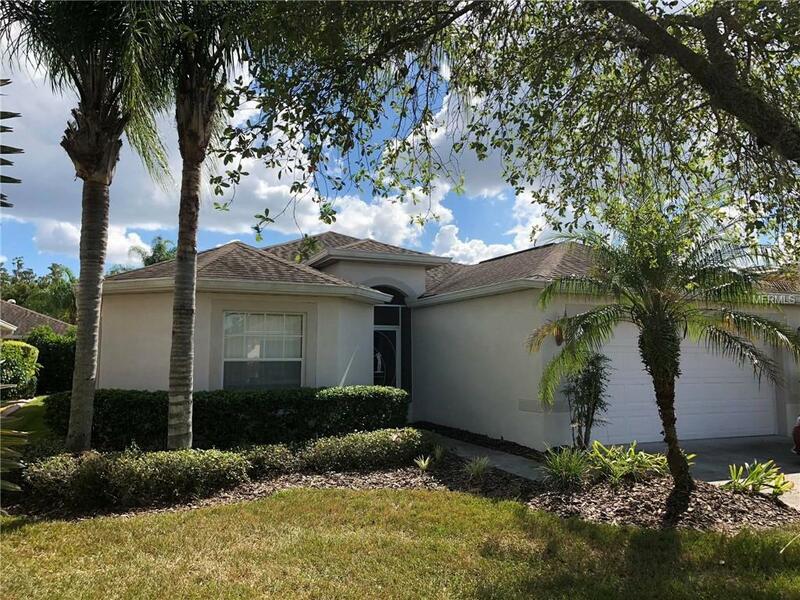 Come see this MOVE IN READY home in the Tampa Bay Golf and Country Club that has had only one owner with no pets and no smoking since it was built! This Bermuda Floorplan features two bedrooms, two bathrooms, an office/den/third bedroom and two car garage. When you arrive to this beautiful home, you are greeted by a screened in entryway that flows right into an OPEN and bright Living/Dining room combo. Right off of the Living/Dining room are sliding doors to a completely enclosed Lanai to enjoy the extended outdoor living area! The guest bedroom and first full bathroom are located in the front of the home for that little extra privacy from the master bedroom / bathroom. The master bedroom is very spacious with a sitting area by large double windows that bring in beautiful light. The on-suite bathroom off of the master bedroom features DUAL SINKS, large shower with seat, linen closet, and TWO closets! On the other side of the home is a large kitchen with eat-in dinette area, pantry, and sliding doors out to the back porch. There is also a spacious laundry room leading out to the garage. The Tampa Bay Golf and Country Club is a beautiful community that features included lawn care, 24 hours guard /gate, two swimming pools, tennis courts, shuffleboard, newly renovated clubhouse with restaurant, pub, pro shop, hot tub, fitness center, library, card rooms, and so much more! This community is a great place to retire and call home! CALL TODAY to come see this beautiful home before someone does!